Strega Nona: Her Story by Tomie dePaola. ISBN: 9780399228186. This one was banned because it presents magic as being good, and even a desirable profession. I wonder how many people realize that this is set in Italy where the medicinal knowledge of old women roaming the countryside was revered even as the Roman Catholic God was worshipped. Once again, children are missing out on an opportunity to learn about another culture and another way of life. I'm half surprised that the "We speak American here" people didn't throw a hissy fit. There are plenty of Italian words sprinkled throughout the text, but I guess since it isn't Spanish or Arabic it hasn't been targeted. But I've noticed those also seem to be the people with misspelled signs, so maybe they haven't picked up a book in awhile. The thing I don't get about the magic is that children think everything is magic. That's part of what makes them children. 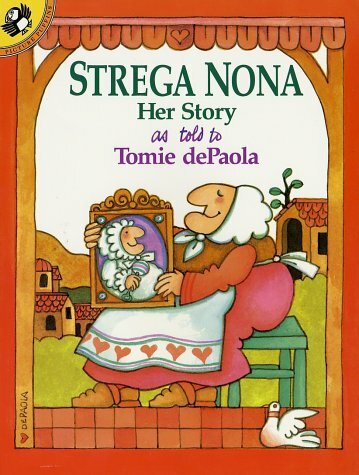 And if you're against the magic of Strega Nona, are you still telling them about the magic of Santa Claus, the Easter Bunny, the Tooth Fairy, babies coming from the stork? If Jesus and God are the only ones allowed to perform miracles, what about all the magic they see in the cartoons? Do you still take them to see Disney movies and allow them to play pretend? Children are drawn to magic, they live in it in those first few precious years. They see the world in a way that adults never will again, they may be able to glimpse it through their own children, or brief encounters of awe inspired by nature or pure love or religious experience...or drugs for some people. If you want to protect children...wouldn't you want to protect the thing that makes them children? And shouldn't that include their sense of wonder and their need to believe in the magic of the world around them, whether that magic stems from God, witch and wizards, or the love of their parents? Because the magic is hurting our childrens. 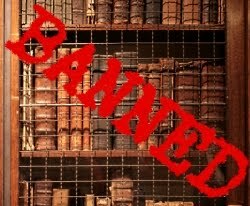 I loved this book as a kid and didn't know it was on banned list! And I love your rhetorical question, "If you want to protect children...wouldn't you want to protect the thing that makes them children?" Beautifully said. Proverbs 17:22-23 A merry heart doeth good like a medicine: but a broken spirit drieth the bones. A wicked man taketh a gift out of the bosom to pervert the ways of judgment.